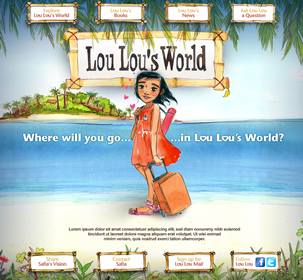 Here is a link to the Official Website for Lou Lou (written by Safia Guerras). Please click on the above picture and check it out! Soon to come will be games, multi-medea, etc. I’m super excited!!! The storyboards for Lou Lou in England (book 2) are still in the works, but soon there will be more images as well! Keep visiting to see more posts of sketches, etc.